A little over a year ago the prodigiously gifted Spanish pianist Hernán Milla played and recorded in a (largely) duet setting with the equally prodigious flutist from Cuba, Carlos Cano Escribá. The album Por la Rivera de Paquito, a tribute to the legendary Paquito D’Rivera was born; one which has already garnered three awards: Best Tribute Album (Independent Music Awards), Best Jazz Album (Akademia Awards) and Gold Medal-Latin Jazz Crossover (Global Music Awards). With good reason. The recital (for it is precisely that) is an engaging and quite brilliant exhibition of the works of Paquito D’Rivera, an artist you thought you knew, but the magnitude of whose gifts, you now realise, you hadn’t entirely grasped, at least certainly not this way. So here is the music of Paquito D’Rivera as never heard before. Even Paquito D’Rivera pays the duo the ultimate compliment in praising this adventure in which he also participates by writing as only he can, in the brief liner notes: “Good arranging is like recomposing… it is a compliment to me that Carlitos and Hernán and this group of young and talented musicians have devoted their time to orchestrate and record these very dear compositions, and nestle them between those of Dizzy and Chucho, two characters that have been key influences in my career.” That Paquito D’Rivera recognises the “devotion” (key word) with which this music has, indeed, been lovingly crafted has an important bearing on the enjoyment of this music. The music may not be chronologically presented, but it is certainly a loving selection, clearly chosen to show each piece to greatest advantage, sometimes creating striking juxtapositions. And the engineers have captured the immediacy and dimension of the composers’ music, with beautiful, unforced sound in all its wealth of detail, whether in duo, trio or larger formats. 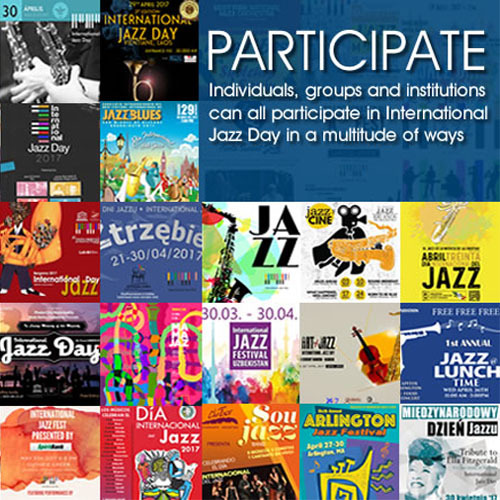 It is also a matter of great importance that Paquito D’Rivera brought his legendary oxblood, Luis Rossi clarinet to the date and played it with outstandingly vivid colors and burnished timbre on “Con Chucho Corriente Abajo” and “Brussels in the Rain”, both songs delivered with rare sweep and cohesion and organically flowing. Things are no less different on “Afro” and “Invitación al Danzón” when the duo is joined in by Helena Poggio bowing her cello with autumnal melancholy, lightly, fretful, inward and dignified. So also are proceedings on “A Night in Tunisia”, the music inextricably linked to Dizzy Gillespie; and on “Bandoneón” when Claudio Constantini joins in with the elemental and beautiful wheezing of his instrument. The dark rumble of Iván Ruiz Machado’s contrabass ignites all three songs he plays with the duo and Paquito D’Rivera, as does Yuvisney Aguilar, while Naiara De La Puente’s accordion unfolds with gem-like precision and sparkle. 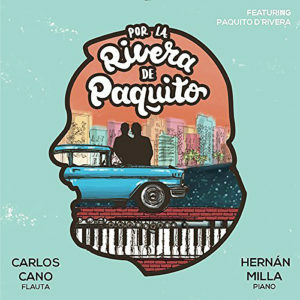 And, of course, Paquito D’Rivera is absolutely right: it is Carlos Cano and Hernán Milla’s identification with this unique realm of music that is as complete as are these deeply felt interpretations that shine with clarity and infinite nuance throughout.